Instagram is now one of the most popular social media platforms, with over 700,000,000 users. Only Facebook and chat apps (WeChat, WhatsApp and FB Messenger) have more users than the photo-based platform. Yet many businesses have still not totally got to grips with the ‘gram’. So we’ll break down how perfect Instagram optimization. Before you create an Instagram account for your business you need to think about what you’re going to communicate on the platform. For some businesses, it is a lot easier than others. If you make knitwear for babies, then you can fill up your feed with baby related posts. But if you make accounting software you need to think outside the box a little. The obvious fact is that, just like Facebook, not all businesses are suited to Instagram as a platform. If your business is B2B focused then Instagram is unlikely to be bringing in a large number of customers. But that doesn’t mean you should neglect it totally. The is value in having an Instagram page for other purposes. For example, you could use it for internal marketing, like promoting company social events, or recruitment. This has its own value, as well as giving any customers that do come across your profile a ‘peek behind the scenes’. Instagram is all about the hashtags. Unless someone already follows your account, the only way they are going to find your content is by searching for, or following, the hashtags you use. So if you’re running the knitwear business mentioned above, putting #knitting, and other variations on that term are going to get you more likes and more followers. Just like keywords for SEO optimization, to optimize your Instagram posts you’ll need to do a bit of research to find the perfect hashtags to use. Some will be obvious like #knittinglovers, but some may not be like #knittingismyyoga or #knitthat. Instagram optimization is just like search engine optimization in that respect. The more research you do, the better. Don’t go crazy with posts, and stories. 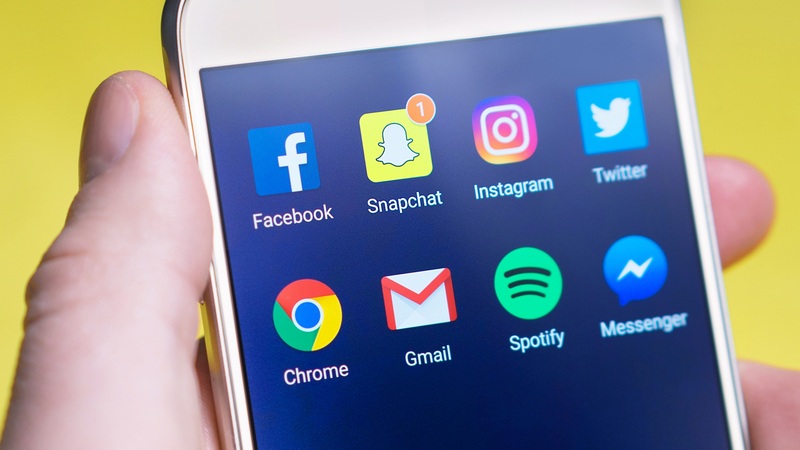 While Instagrammers will often post multiple story updates per day, and several photos, the level of patience afforded to businesses is often less. Obviously you can A/B test the right amount of posting for your business, but at first, we suggest several posts per week until you get the hang of it. Then once you see which types of image or video get the best reaction you can try to increase from there. As mentioned, Instagram allows you to post video and photo content. So, do both. Some followers will have a preference for videos and others for photos. You won’t know which does best until you try both, so start recording. Video quality on Instagram is a lot less important than on YouTube so don’t be afraid to post content that might be a bit ‘rough around the edges’. It helps to give your business a more authentic feeling. As an aside, if you’re creating videos; try to make them work without sound. People who are scrolling through their Instagram feed won’t always have the sound on. So videos that rely heavily on audio might not make sense to users who have their phone muted. Keep that in mind. Another way of getting more visibility on Instagram, other than hashtags, is by commenting, following and liking other account’s photos. Going back to the knitwear business, search for #iloveknitting and like some of the photos you see. The user whose photo you have liked may then check your photos. Also, comment on photos you like. The comment will be seen publicly by anyone else who views that photo and can be another way of getting more traffic to your profile. Instagram is a community, so find your niche and start making friends. If you’re following these steps you should be well on your way to having a solid Instagram account. Do you think we’ve missed anything that could make you a legend on the gram? Let us know below. Are your social profiles on form? Do you need help with Instagram optimization?